Played with African Violet frit last night. 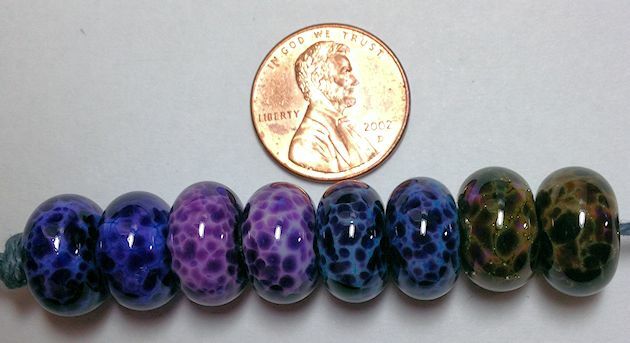 These are all the same color frit but on different colored base beads. 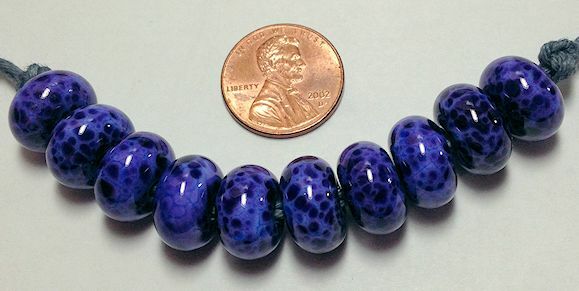 These are on a periwinkle base bead. Love this color!! These aren’t African Violet frit at all. Just random round bead pairs with frits and shards.